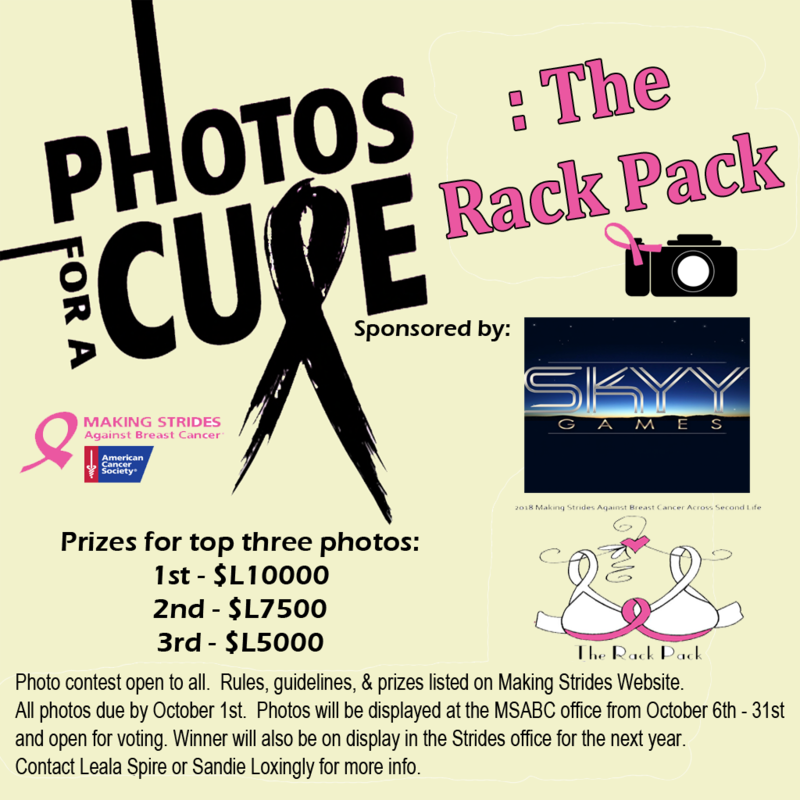 SKYY Games is proudly sponsoring this annual breast cancer photo contest where all photographers in Second Life are invited to share your artistic talents by submitting a photo that you feel best reflects the theme, “The Rack Pack.” A L$10,000 prize will be awarded to the top photo. Additional prizes for 2nd and 3rd place will also be awarded. 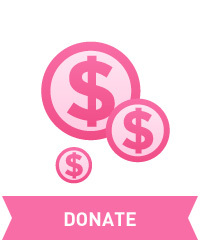 For contest rules, timeline, and full details, visit the Photos For A Cure on the Making Strides website. Photos can be submitted from Sept 1-30. This entry was posted in american cancer society, making strides, media release, second life and tagged #acs, #American Cancer Society, #breast cancer awareness, #cancer, #TEAMMSABCofSecondLife, ACS, american cancer society, Making Strides Against Breast Cancer, making strides against breast cancer across second life, MSABC, Photos For A Cure on September 2, 2018 by sandieloxingly.